It's the middle of the summer, so let's cool off with a movie about partially-thawed Nazi zombies. 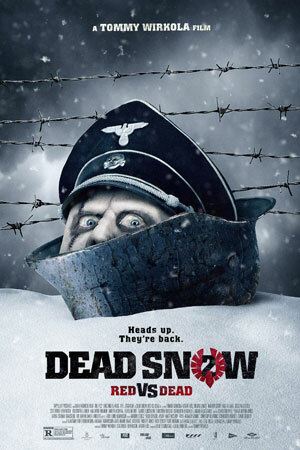 You read that right, we actually at one time discussed Dead Snow 2: Red vs Dead (2014) and dug it out of its frosty tomb for a retroactive episode. We don't remember much about this conversation, or the movie for that matter, but rest assured, we had some stuff to complain about as always. Get ready to do it with a dead girl while enjoying the 2-packs-a-day stylings of Bonnie Tyler on this retroactive episode of Horror Movie Night!